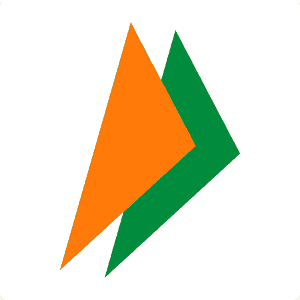 Bhim App, Bhim App download. The beauty of this app is in its simplicity. Bhim App is launched by our Honorable Prime Minister- Shri Narendra Modi. Bharat Interface for Money (BHIM) is an initiative to enable fast, secure, reliable cashless payments through your mobile phone based on the Unified Payments Interface (UPI). It is developed by the National Payments Corporation of India (NPCI). Bhim is made in India and is also supposed to support Aadhaar-based payments, where transactions will be possible just with a fingerprint impression, but that facility is yet to roll out. How to download bhim app and how to use? Just follow below steps. It is based upon UPI (Unified Payments Interface) thus, you can send or transfer money to any bank account instantly! All the money you accept by BHIM App will be instantly transferred to your Bank account. By default, Your mobile number is your payment address (For example, 9******@upi). You can also add second address,steps are given below. How To Download & Register on Bhim App? Choose your Sim Card from which you want to verify and click on next. Select your Bank and choose your Bank Account. Bingo!!! You have successfully registered to Bhim App. How To Receive Money In Bhim App? There are 3 very simple methods to receive money. I’m explaining all three. Second, Click on Request >>Verify Contact>>Enter amount to request and ask your friend to send money. How To Send Money in Bhim App? There are 2 simple methods to send money. First, Open Bhim App and Click on Send >> Enter Payment Address >> Verify Contact >>Enter Amount and Remarks and Send. Second, Click on Scan & Pay >> Scan QR Code (Which you generated above in 3rd step ) of your friend/customer and Pay. How To Create Second UPI Payment Address? Bhim app has another feature of changing payment address so that you can receive money from someone without disclosing your mobile number. Click on Add Payment Address and Enter address which you want. Now click on Confirm Payment Address. The beauty of this app is in its simplicity. There are very simple ways to send/receive money. One of the biggest reasons of introducing the Bhim App is to encourage the merchants to receive payments through digital modes. The app would eliminate the long waiting period, transaction fee or charges, and hassle of getting a PoS (Point of Sale) machines. Merchants know very well what is the cost of charging 2% for each transaction & Rs 400 for Swiping machine rent. Its really costly for Small shops & merchants. All UPI-connected banks accept BHIM – this includes all major Indian banks including SBI, ICICI, Axis, and HDFC. Even banks not connected to UPI can receive money through BHIM through IFSC, an 11-digit code assigned to every bank branch by the Reserve Bank of India. Do you need to Add Money in Bhim Before Transaction? Absolutely not. Bhim App is based on UPI. It directly send or receive money in bank account via IMPS. Can we use Bhim App Without Smartphone? Yes, even without a smartphone, anyone can use BHIM to make payments.You need to dial *99# from any kind of mobile phone, and this will show a menu – by typing in different numbers you can choose to send money, check your balance, or see transaction history. To send money, for example, you’d type ‘1’ and hit send, then type ‘1’ again to select mobile number. Next, you’d type in the number and the amount, and then a PIN that can be generated using BHIM. This will work on any phone – even Rs 1,000 feature phones – without an Internet connection. The BHIM App can be used to send and receive money through smartphones. Money can also be sent to non UPI supported banks. Bank balance can also be checked through the BHIM App. Currently Hindi and English are supported in the BHIM App, with more languages coming soon. You can check your bank balance and transactions details on the go. Shopkeepers can use the BHIM app and receive money from a smartphone, or if the customer has linked a bank account and her Aadhaar ID, then the merchant can use Aadhaar Pay, an app that was soft-launched days ago. For this, the merchant has to have a smartphone (even a basic Android phone will do) and a Rs. 2,000 fingerprint reader. This is currently being distributed free in Aadhaar Payments pilot projects around the country. On the shopkeeper’s phone, the customer types in her Aadhaar number and chooses her bank. Then, the shopkeeper uses the fingerprint reader for instant confirmation to complete the payment. The customer don’t need to carry her Aadhar card, or use a phone, only the merchant needs these. Don’t forget to vote this post by clicking on thumb icons and Share it with your friends & family by social sharing icons below. Plz increase the transaction limit of BHIM to minimum Rs. 100000 per day. Hey dear, It’s under control of Indian Govt. So only they can change. Any charges in Bhim app per transaction . I want to use bhim on my samsumg tab. How to download and install on it? You can directly download from play store or link is given in post. Asking this from a retail shopkeeper perspective,accepting payments using bhim app.How much money can one accept in account using this app? In Paytm there is a limit one can accept and transfer to account. How can I transfer money to another wholesaler whom I purchase things from as single transaction limit is just 10k ? 1. 10K is per transaction limit and you can receive up to 20k within 24 hours. 2. Paytm has increased wallet limit from 25k to 50k. If you need, you can also increase this limit from 50k to unlimited. You need to talk to Paytm Customer care for the same. I activated this app. But how can I pay my bills. Bills of telephone, electricity etc.